Unique and noteworthy vehicles, builds, roll-outs and new offerings from factory and builders. 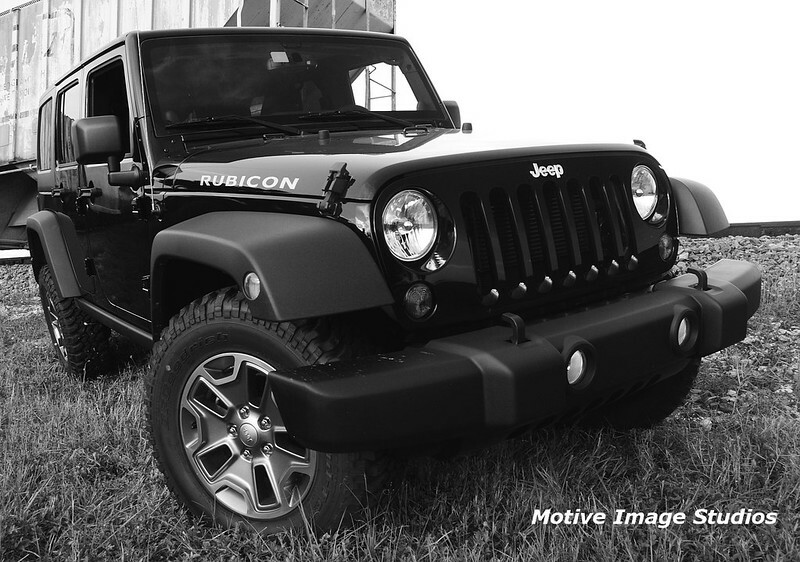 It seems every ten years or so the Wrangler turns a page and updates to a new model. 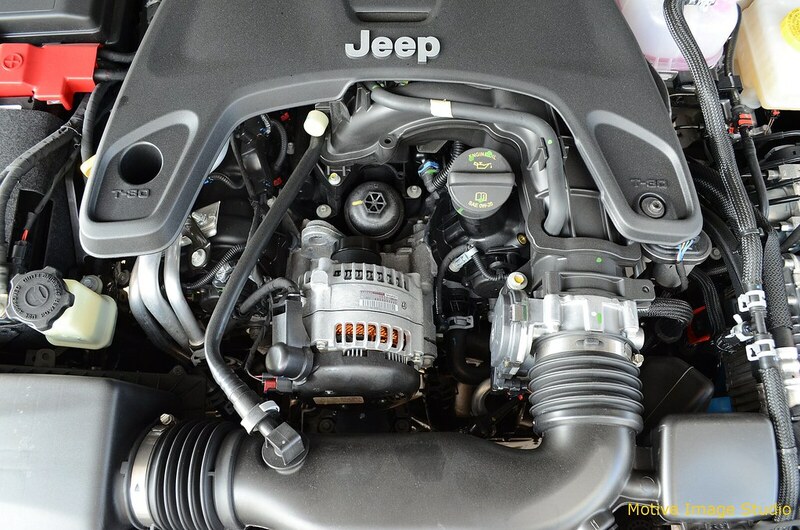 Soon after the first of this year, the most recent incarnation of the Wrangler, Model JL, started adorning show rooms. As we get our first looks (and experiences) we’ll post up. Once again coinciding with Easter Jeep Safari, Jeep has turned its concept vehicles loose on the Red Rock 4-Wheeler event. In all, seven concepts took to the Moab trails demonstrating their off road capabilities and unique designs. The chopped look says it all. Great look for a vehicle that’s at home with open wheels. Hmmm, clear doors on a Sahara. Down here in South Florida can we get that with a portable pressure washer for the ever present mud? The flipped rear door hinges are a nice touch. 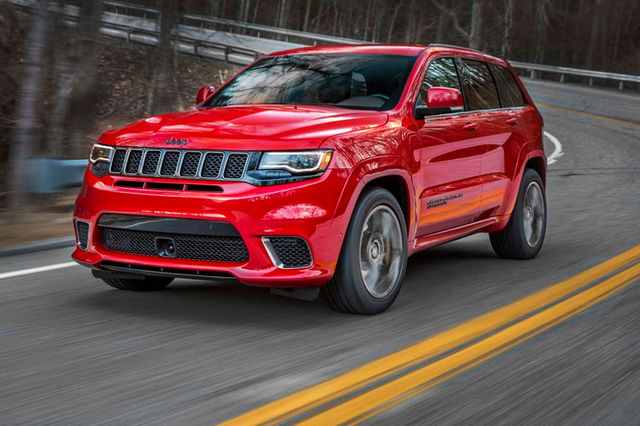 Hard to believe but it’s now ready for order with deliveries expected Q4 2017, the Jeep Grand Cherokee Trackhawk joins the Hellcat pantheon of horse power deities. Yet to be named, the Wrangler based pickup from Jeep is set for production debut in 2019. Like the current F-150 from Ford, it’s rumored to make greater body use of strengthened aluminum. An optional 300 hp 4 cylinder turbo is also rumored for improved fuel economy. Jeep vacated the pickup market with the conclusion of the Jeep Comanche in 1992. 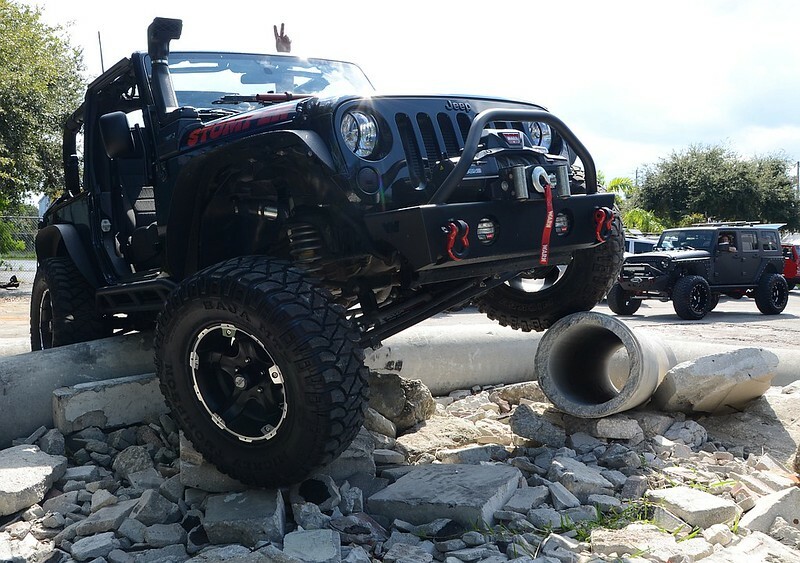 Notch out another solid dealer build for Wicked Trails 4×4 in their recently completed JKU Swamp Runner for Massey Yardley, of Plantation FL. The setup boasts tough looks and good ground clearance through a two and a half inch Rough Country lift stacked on top of a set of 35 inch Terrain Master M/T tires from AMP. 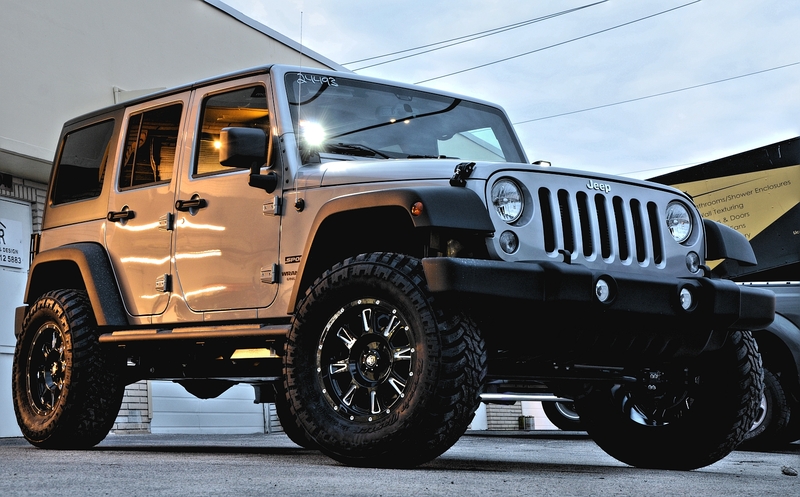 The package yields a respectable 3.5″ lift total over stock. 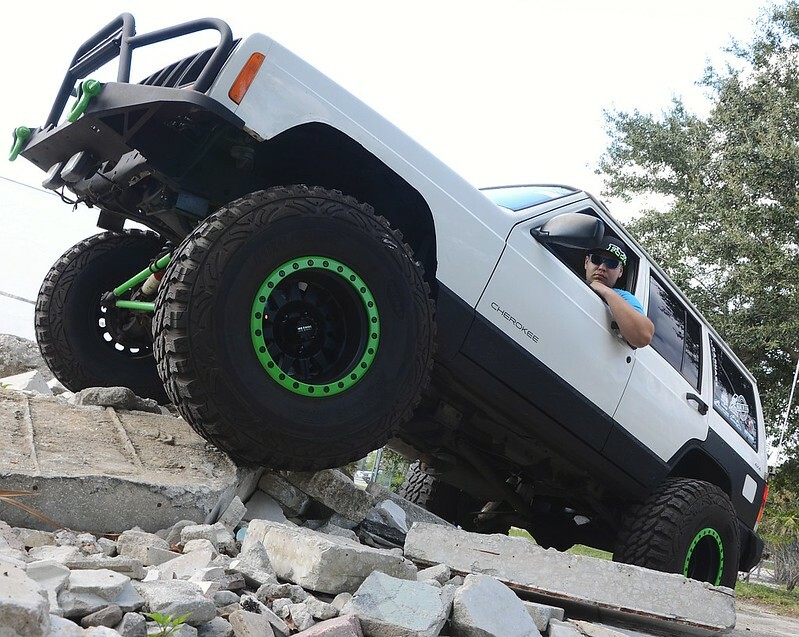 Dressing up the tires and adding a rugged and wider off-road stance is a slick set of Mayhem Hammer rims (18×9) with 4.50″ back spacing. 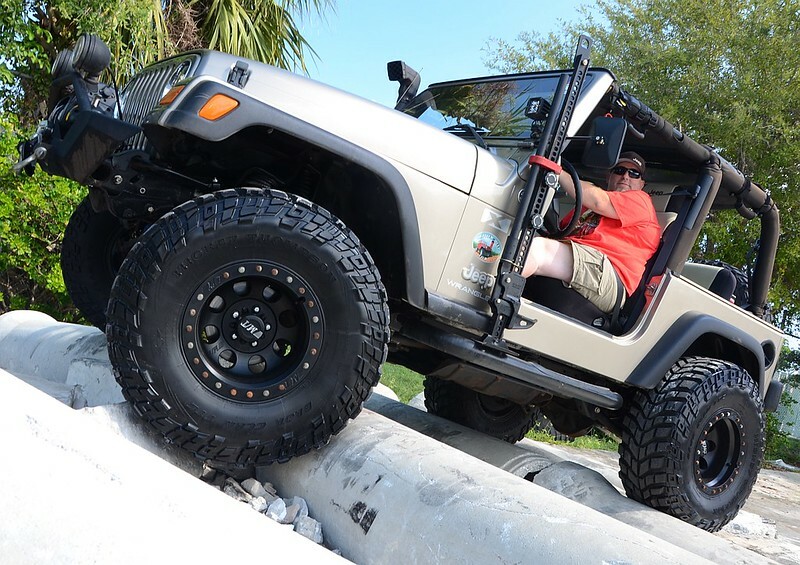 To keep Swamp Runner from bogging down on bigger tires, the vehicle came with the factory tow package giving this Wrangler the more torquey 3.73 running gears. The upgrade was built on a kit that sourced quality parts. 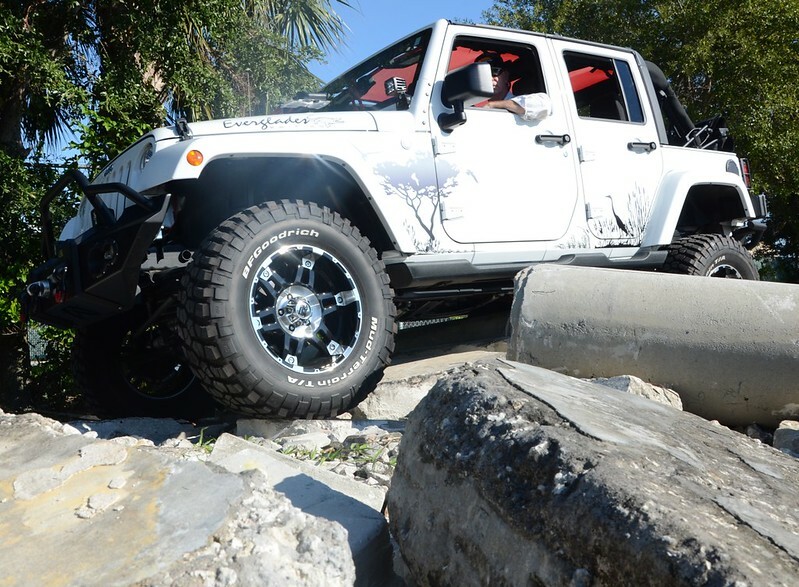 General agreement in the industry is 2.5″ is an ideal height for a moderate JK/JKU lift. 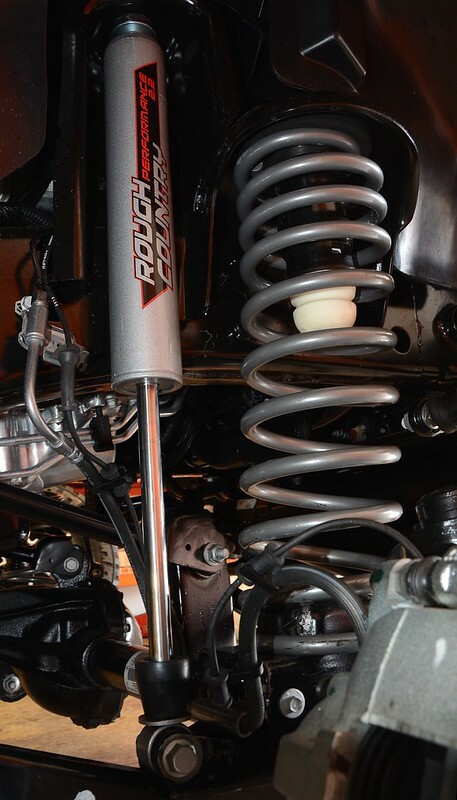 It keeps suspension concerns manageable and avoids a lot of invasive rework such as a front drive shaft replacement or exhaust relocation. In short it’s easier to keep the factory feel of ride and keep the factory warranty with a 2.5″. 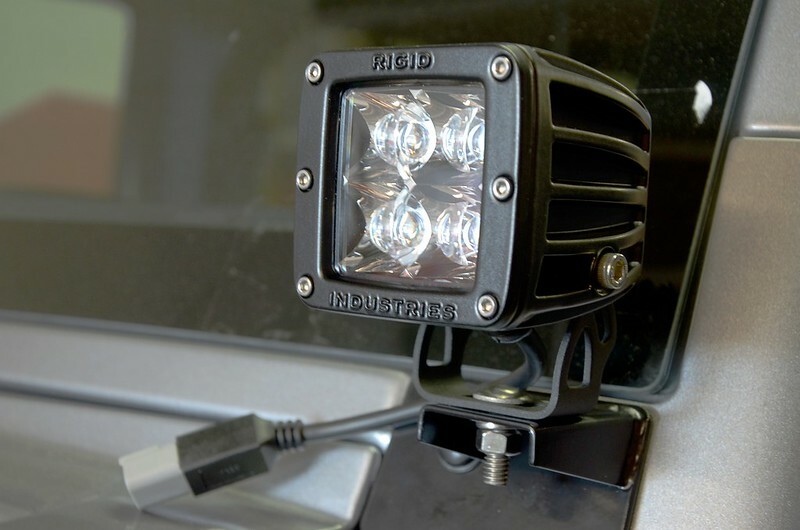 With core objectives achieved, the build team added Rigid off-road LED lights for lots of bright lumens on a trickle of current and set of beefy all metal hood latches to round out Swamp Runner’s tough looks. The result, a sharp vehicle with unmistakable trail aggressive looks and capabilities with little sacrificed to street handling. Motive Image dropped by the West Palm 4WheelParts Monster Sale last Saturday afternoon and shot for the Customer Cover Contest. 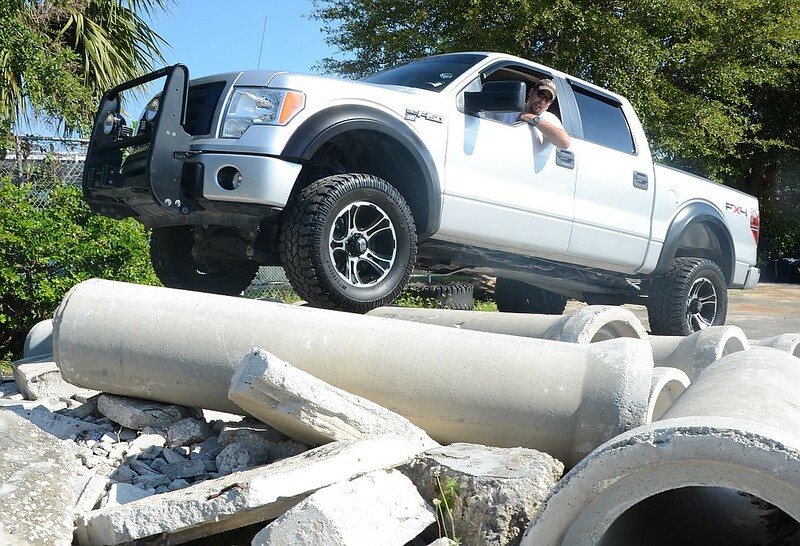 The concrete and culvert crawl challenge in back of the store made for an ideal photo spot enhancing the already rugged qualities of customer rigs and made for a great contrast; immaculately clean 4x4s in a chaotic debris field. The shoot started a little after 1:30 and with a pause for the raffle with a bunch of really cool stuff given away including gift certificates, the shoot continued to almost 4:00. In all 15 entries were shot. Now the tough part, the team at 4WheelParts is tasked with the tough job of picking a vehicle to represent the store and go head to head to head with other 4WP locations. Amazing vehicles such as this JKU with a flawless mat paint job took on the pile turning the lot into what looked more like a trail shoot. Special thanks go out to the gentleman in the Silver Ford. His spotting skills got EVERYONE over the course with zero breakage. For people new to rocks he made it a great introduction and all in the spirit and tradition of wheelers helping wheelers. Awesome job! For the rest of the vehicles and lots more pics check out the Customer Cover Shoot Contest Set out on the Motive Photo page. A huge thanks to Pat, Rob, Jason and Kevin at the West Palm 4WheelParts Performance Center for hosting the event and raffles. And a big thanks to all the folks who came out especially the drivers who waited patiently through the shoot and were up to the challenge of crossing the pile. For the vehicles that entered, feel free to email Motive at “williamamasterson@gmail.com” for a free DVD containing the entire shoot in full resolution. 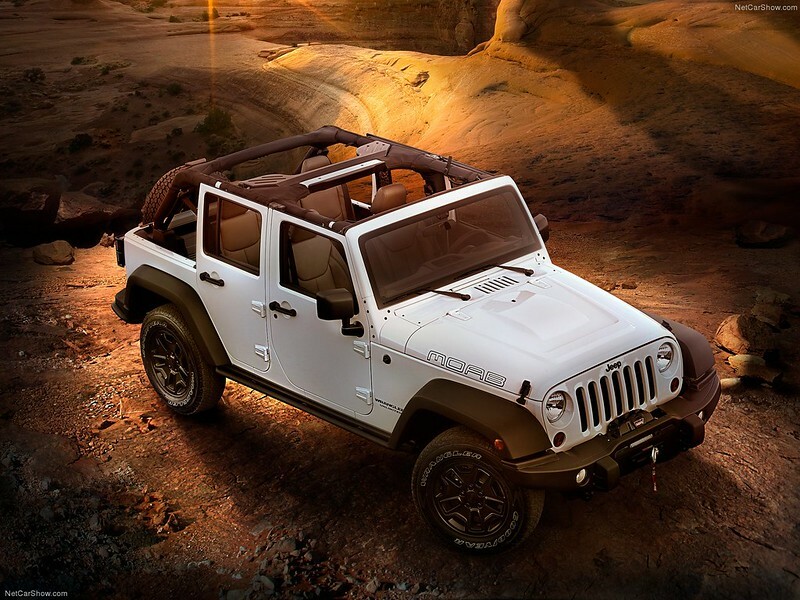 Making its debut at Easter Jeep Safari in its mountainous name sake venue, Jeep’s Moab Edition blends the luxury of the Sahara Wrangler with the ruggedness of the Rubicon. 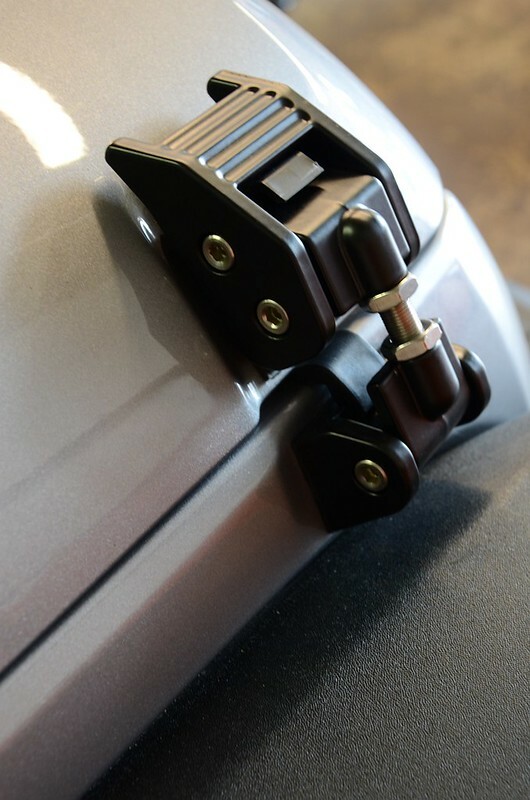 The custom bumpers not only gives the Moab a sharp integrated look and offer far better protection than the stock ones, the front is also ready to accept a standard winch. Other noteworthy items, the Moad rides on Goodyear SilentArmor 245/75R17 (31×9.6) tires. These are a little smaller than the Sahara’s 255/70R18 and Rubicon 255/75R17 meats (32×10). It’s not much difference but perhaps might give the Moab a smidge more torque. Much of the rest of the Moab is same with Sahara, 285 HP Penta Star motor, 2.72 transfer case, Saharara drive train and standard 3.73 ring and pinion (an option on the Sahara, again a plus for torque and perhaps just where it’s needed). Compared with the Sahara, the Moad fairs very well even in the comfort and luxury areas. Against the Rubicon, some wheelers will start picking at the differences as did staff at FourWheeler Magazine . Nonetheless they saw the Moad as a great offroad platform and in the end gave it a solid endorsement and awarded it 4×4 of the year. Two and four door versions are available and should be hitting dealers this month. Well, looks like we finally got out of the last century and picked up a JK just a few weeks back. As our long term driver we’ll be reporting from time time our experiences, rants, raves, build notes and epiphanies. For now we welcome our latest four wheel family member, our 2013 JK Rubicon. In the market for a full size Waggy? Here’s one that might interest you. 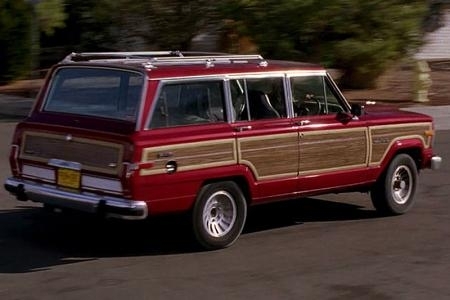 The red 1991 full size Jeep Wagoneer driven by Skyler White (Anna Gunn), wife to the main character Walter White is currently up for auction at ScreenBid. Bidding started just a little north of $7000.00. The vehicle has been see in numerous episodes parked in the driveway. The vehicle as noted by the auction description has the Waggy running but in need of a little TLC. If interested… snag it before Leno finds out! (17 bids) That Waggy is gone.